At the council of Troys in 1128, the Templar Order was confirmed by Pope Honorius II. The Knights received the white vestment as a symbol of purity of their life, to which Pope Eugenius added the red cross in 1146. 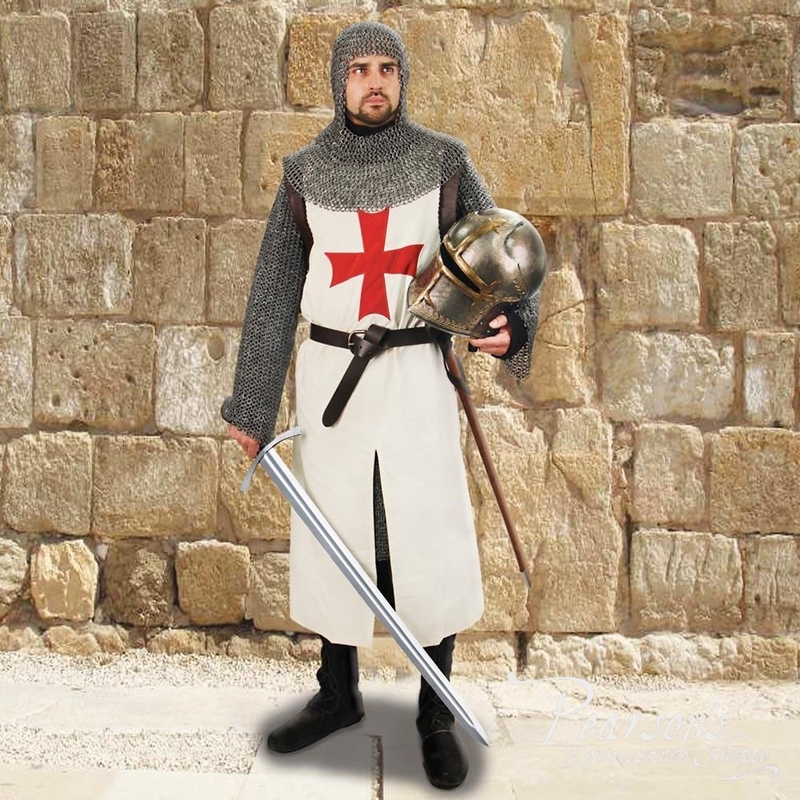 King Baldwin II, the King of Jerusalem, installed the Order in a part of the Palace of Jerusalem believed to be Solomon’s Temple, from which they took the name of Knights of the Temple or Templars. 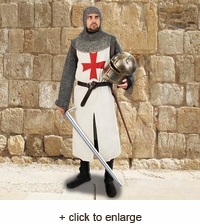 The order’s battle honors in the defense of the Holy Land are now legendary, while the accounts of their missing accumulated wealth are still a mystery. 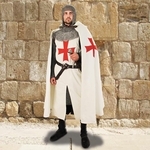 This Templar Tunic is made from a medium weight white cotton. A large red velvet Templar cross has been stitched to the chest. 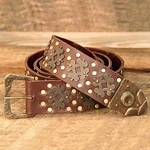 Faux leather trims the collar and shoulders. 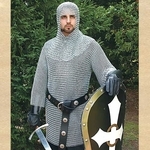 This surcoat is quartered with splits in the front and back as well as both sides, making it a perfect fighting tunic. Dry clean only. S/M or L/XL. Coordinating cape available. Note: Small/Medium is ideal for people 5' 6" to 5' 11" tall, while the Large/X-Large is best for people 6' tall and over.